Why did you choose Sabin? I like “monk” characters, in fiction and in real life. I choose him because of his interesting back story, a real warrior and being loyal at the same time. 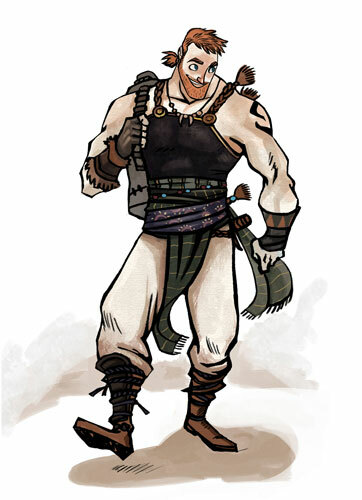 Sabin is a complete opposite of his brother. What do you like about him and about FFVI? Seeing him trashing a phantom train is awesome enough. FFV Iis one of the most satisfying games of the Final Fantasy series! What tools did you use for the artwork? I draw the line art in SAi, and fully painted him including the background in Photoshop. I made different sketches and poses without reference, so it’s very challenging and hard. I don’t want the same standing poses, so I draw him in a fighting stance. Is there something else you want to tell the visitors of the Final Fantasy Art Tribute on GA-HQ? Enjoy all the art. Yoshitaka Amano is one of the great artists and concept illustrators, and interpreting his work was fun and challenging. 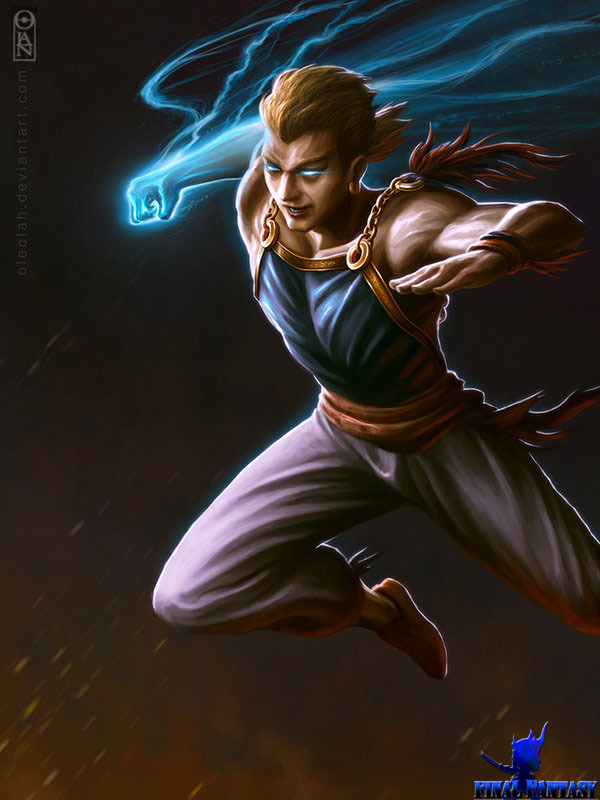 Oleolah is a hobbyist and an expert on the digital art field, he created a very varying portfolio ranging from fantasy and comic related illustrations and portraits to video game fan art like now for Sabin. He is a GA-HQ contributor since August 2012 when he participated in our Mortal Kombat Tribute with Li Mei from MKDA! 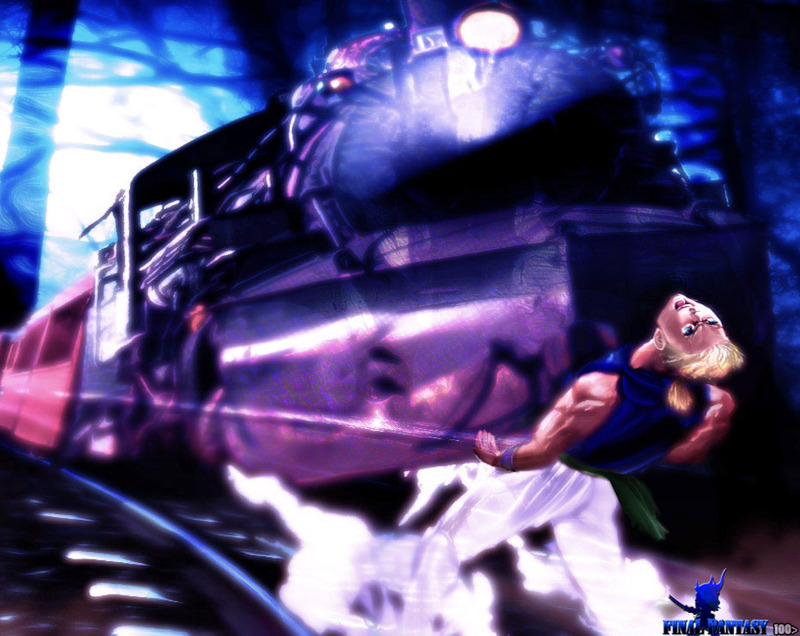 that in my mind, no one jumped into action scenes as much as Sabin and the train scene was a personal favorite of mine. He Suplex’d a freaking train! i mean you start the fight thinking, no way can this blitz work properly and then just laugh at it’s awesomeness, he’s a very do whats right jump in character, right from the going in after Ultros as he tried to escape, ff6 just has so many great lines and moments that make it stand out in the FF series. Tools i used, photoshop CS6, i had trouble thinking, how can i paint a suplex, of a train and keep focus on him as a character with such a large item in the shot, so i played with the balance of both quite a bit and studied some wrestling suplex pictures, to get the right angle. It was fun to paint, redesigning pixel works into your own take on them is always interesting to see what you come up with as you start things just begin to click and fit into what you want to happen. after i finish a painting a merge it flat and play with perspective resizing, a little more slanted on one part can alter the horizon and really give more of a kick. Overonehundred is a professional artist from the UK and a very active member of the Game-Art-HQ community since around two years now. He participated in our Tekken tributes as well as the Virtual Worlds, Final Fantasy and Link’s Blacklist projects and there is no end in sight! Artwork and description of it by Caroline “Grimhel” H.
Beside Sabin, the only FFVI characters drawn so far are Celes Chere and Terra Branford, click on the logo below to return to the main gallery of our new project!